A mirror that delivers an unparalleled mix of fashion and function, the Arrow Mirror is sure to sparkle in any living space. 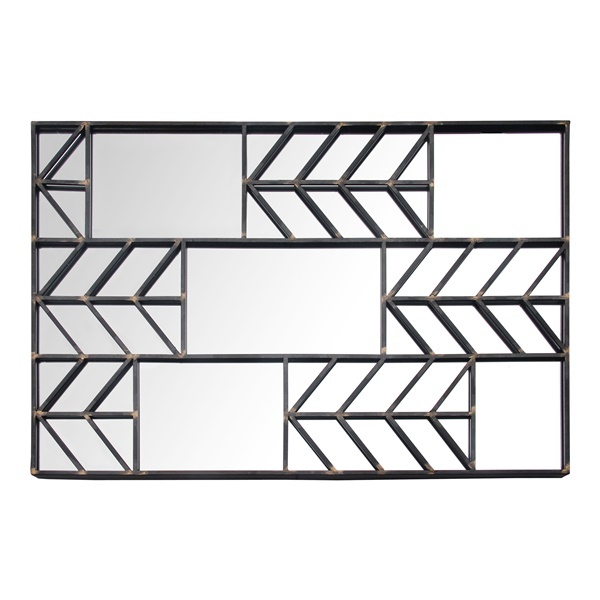 The mirror includes a series of arrows, rectangles and squares that give the piece an ultra-modern appearance. In addition, the mirror's glass and metal construction guarantees the piece is built to last. Pick up a top-notch mirror that will look and perform great consistently with the Arrow Mirror.